I love the motion detection feature but when a video gets recorded there is no audio. Any ideas? What camera is it and how is it connected to webcamxp/7? Inspiron 15 running Windows 10. 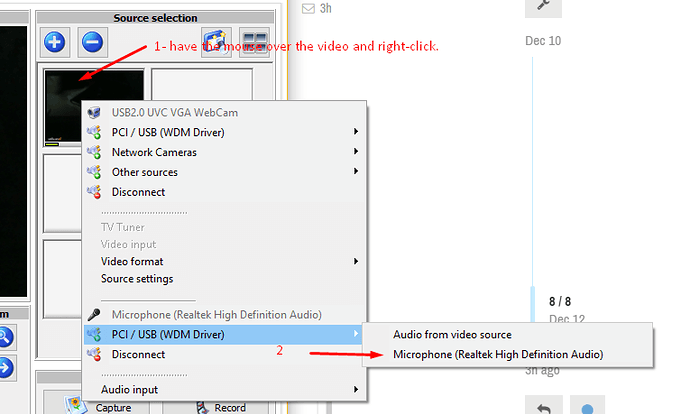 In the configuration of an USB camera you need to enable both video and the audio. That might be the problem. Any reason why you dont’t use Netcsm Studio also from Moonware? It is the next generation after webcam. I leave at “none”). 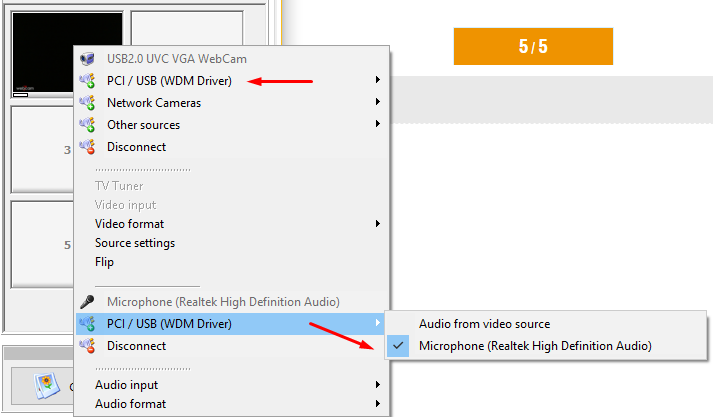 Video works fine, but there is no audio. When I get home tonight I’ll check out NetCam Studio. Thank you sir! Will do as soon as I get home this evening. that, it looks like this. 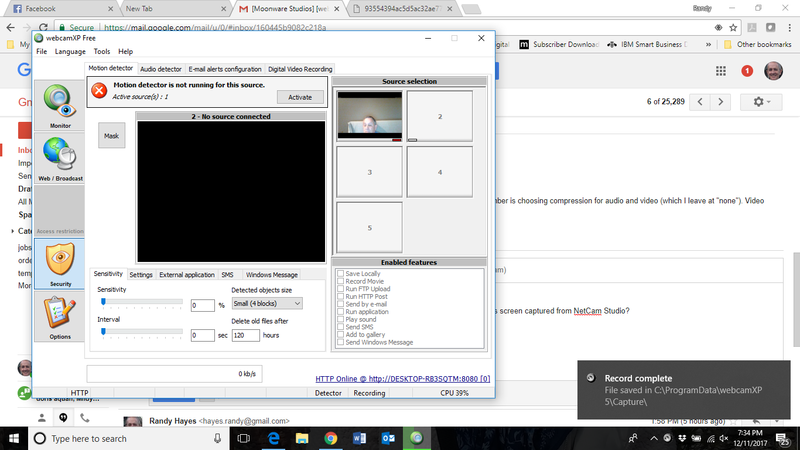 Is this screen captured from NetCam Studio? Ahhhhhhh ok, now I got it. I tried that at first but it didn’t work. However, sometimes the right click doesn’t work on the laptop. I am glad you like it and problem solved.